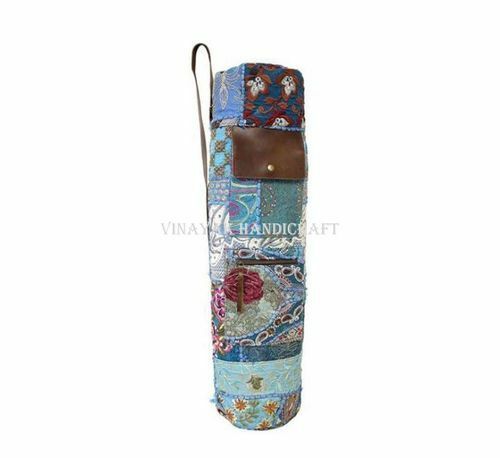 Long yoga bag with Banjara embroidery. Open grommets on each side allow the air to flow inside the bag after yoga class. Adjustable leather shoulder strap. Can also be worn cross body style. Inside is lined with 100% cotton. Each bag is one-of-a-kind, and embroidered pattern and design. The stunning embroideries on these bags are done by these talented Banjara tribe women. 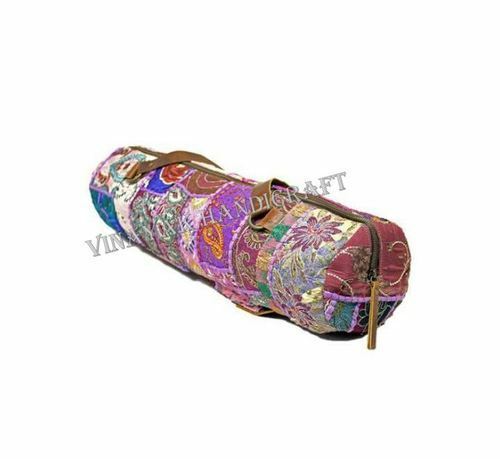 Looking for “Banjara Yoga Mat Bag”?